This title is the IP Book Awards 2007 Gold Medal winner for Outstanding Book of the Year - Most Original Concept. Never before seen SEM images are unique to the book. It will appeal to scientists, artists and photographers alike. The extraordinary beauty and structure of pollen grains invisible to the naked eye. This book is the result of the shared fascination of an artist and a scientist with the perfect design of organisms too small to be seen without a microscope. Pollen is ubiquitous; its tiny forms have fascinated the scientifically curious since the seventeenth century. Its tiny grains are enclosed beyond the accessible beauty of the flower until the moment of release, when they are carried by wind, water or animal vectors to achieve their purpose, which is procreation. 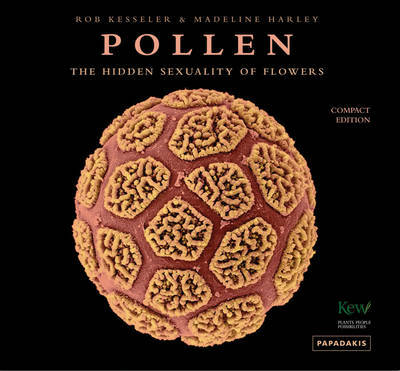 A clear explanation of the structure and form of pollen, the remarkable events from pollination to fertilization, and the many ways in which pollen impacts unseen on our lives is interwoven with a dazzling array of original images created especially for the book.